From the family sheep station in Shag Valley, East Otago, amateur radio operator Frank Bell sent a groundbreaking Morse code transmission received and replied to by London-based amateur operator Cecil Goyder. 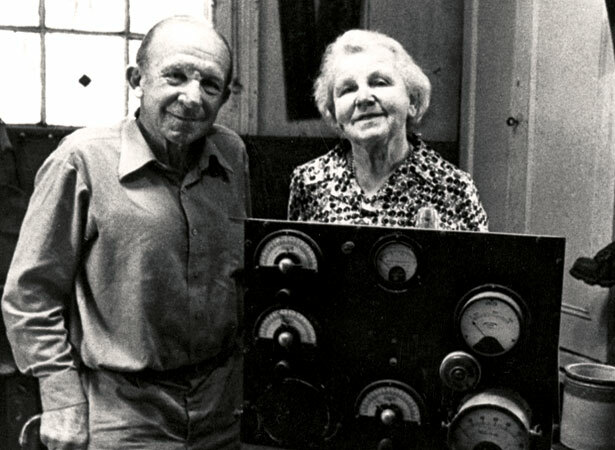 Frank and his older sister Brenda were radio pioneers. Invalided home from the Western Front in 1917, Frank revived a boyhood interest in wireless communication while recuperating. He helped pioneer the use of short radio waves to communicate over long distances, initially through Morse-code telegraphy. He achieved a number of firsts, including New Zealand’s first overseas two-way radio contact with Australia and North America. But it was his radio conversation with London that made world headlines. When Frank turned his attention to running the family farm, his sister Brenda took over the wireless station, becoming New Zealand’s first female amateur radio operator. In 1927 she was the first New Zealander to contact South Africa by radio. After the Second World War, Brenda Bell moved into professional radio as a writer and broadcaster for Dunedin station 4YA. We have 8 biographies, 1 article, related to First trans-global radio transmission to London.